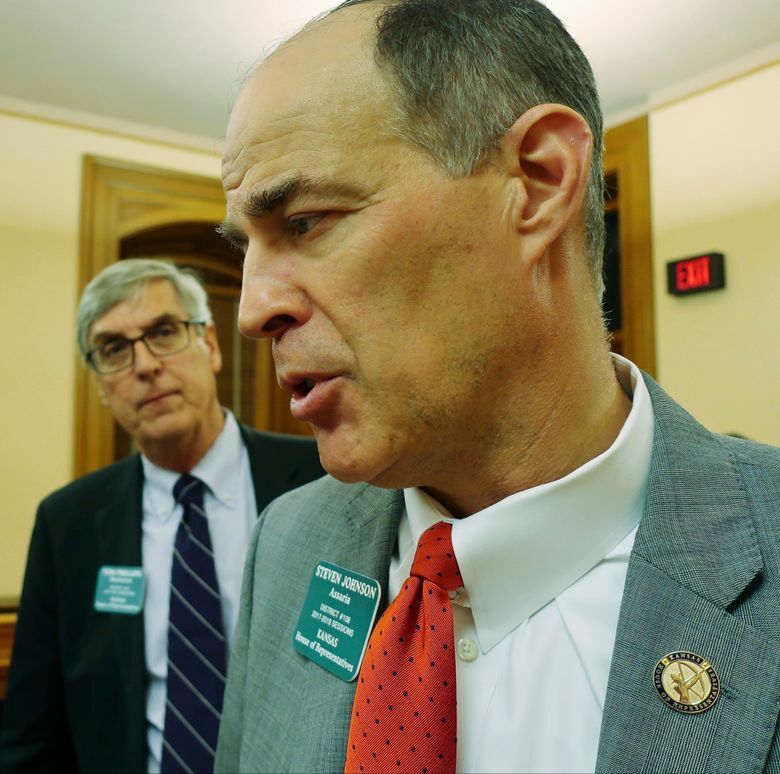 House and Senate negotiators pinned down the final details of a bill that would make dozens of changes in the $16 billion-plus annual budgets approved last year for the state’s current fiscal year and the next one, which begins in July. Their bill includes money to undo past cuts in higher education and give pay raises to state workers. Another team of negotiators four Statehouse floors below agreed on a plan for cutting income taxes so that some individuals and corporations don’t pay more to the state because of changes in federal tax laws late last year. The Legislature’s research staff projected that the tax cuts would be worth $82 million during the next fiscal year. Both chambers could consider both bills Thursday. 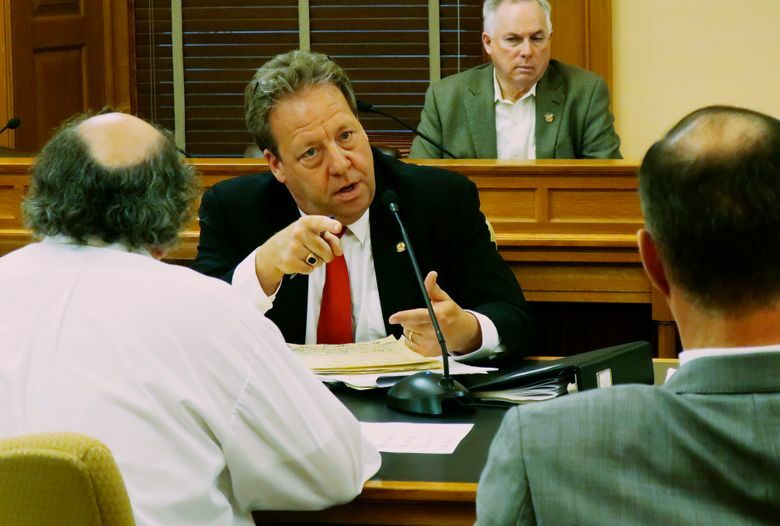 The combination of tax cuts and extra spending would undercut the Republican-controlled Legislature’s efforts to sustain new spending on public schools approved last month to meet a Kansas Supreme Court mandate to increase education funding. New projections from lawmakers’ staff suggested Wednesday that the state could face budget shortfalls by next year. “This whole thing is built on a house of cards,” said state Sen. Tom Holland, of Baldwin City, who like other Democrats believes tax cuts should wait. Gov. Jeff Colyer and many other Republicans are more optimistic. The economy has improved, and the state’s tax collections have been better than expected for 11 consecutive months — the longest such streak since at least 1989. Legislators last year increased income taxes to shore up the state budget, reversing past income tax cuts championed by former Republican Gov. Sam Brownback. Persistent budget problems followed the Brownback tax cuts, and many legislators are eager to undo what they see as the resulting damage to state agencies and programs. “We’re able to go back and repair some of those drastic cuts that we made just so we could balance the books,” said House Appropriations Committee Chairman Troy Waymaster, a Bunker Hill Republican. The budget negotiators’ bill would add $15 million for higher education to reverse most but not all cuts made to state university operating budgets in 2016. State workers, other than judges, would get at least a 2.5 percent pay increase; employees who didn’t see one last year would get 5 percent. Lawmakers last month approved a plan to phase in a $534 million increase in spending on public schools over five years. The Kansas Supreme Court ruled in October that the state’s education funding of more than $4 billion a year wasn’t sufficient under the state constitution. The justices plan to rule by June 30 on whether this year’s increase is enough. Meanwhile, top Republicans argue that the state should cut taxes because it did not anticipate federal income tax changes boosting the state’s revenues after lawmakers hiked state income taxes. The tax negotiators agreed Kansas filers should be allowed to claim itemized deductions on their state tax forms even if they don’t itemize on their federal forms. They can’t do that now. The federal changes limited some deductions and raised the federal standard deduction. That would cause fewer Kansas residents to itemize on their state forms. The bill also would make changes to prevent corporations from paying more to the state because of the federal changes. Asked whether the state can afford both the tax cuts and the higher spending, Senate tax committee Chairwoman Caryn Tyson, a Parker Republican, noted that April’s surplus in tax collections alone was $66 million. “I think we can live with this,” she said.